APGENCO Notification 2013 - 2014 | www.apgenco.gov.in Online Application Form 2013 : 1. 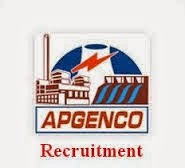 Andhra Pradesh Power Generation Corporation Limited (APGENCO) is recruiting various candidates for the positions of Directors (in Finance & Commercial, Hydel, Thermal). All the candidates who are eligible and interested can go through the APGENCO Job Notification 2013 and send APGENCO application form before 06 November 2013. Age Limit: Candidate should be below 62 years of age as on 15 October 2013. 3. Qualification Details: Candidate should hold Bachelor’s or equivalent Degree relevant to the position and with relevant field experience. 4. Selection procedure : Selection of a candidate will be done based on his/her performance in the interview. 7. Candidates join us on Facebook for latest news and updates about APGENCO results 2013. Guys subscribe us for free email alerts and bookmark our page for future reference.